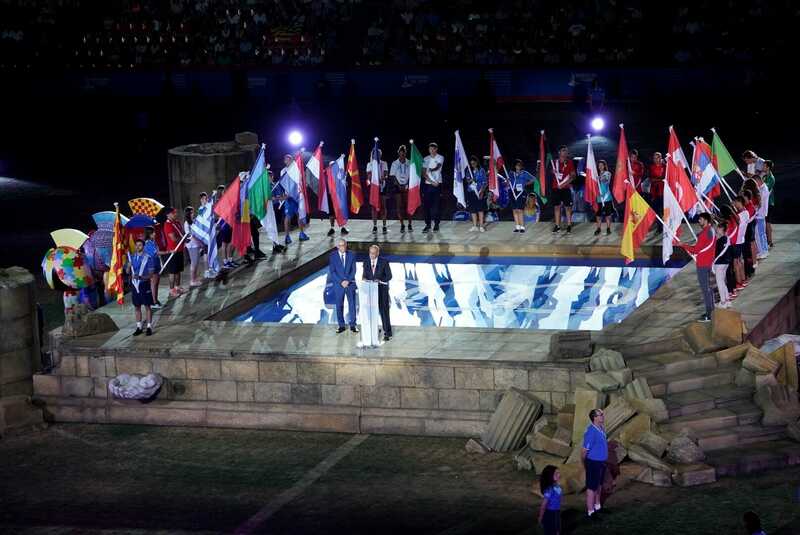 Twenty-six countries and near to four thousand athletes took part in the XVIII Mediterranean Games (2018) in Tarragon, Spain – and with Monaco showing high profile in the medals table. 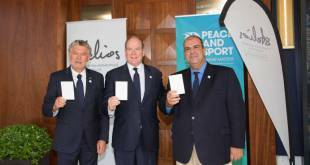 It was particularly exciting for the Monegasque athletes that Prince Albert was able to be there in person – and he was noted encouraging them, particularly with his presence at the start of the table tennis competition. Monaco’s athletes then went on to put in an extra-ordinary performance. So much so that Xiaoxin Yang battled her way convincingly to the final, only to narrowly miss gold against the Egyptian Meshref. In the process she had ably despatched two Spaniards in their home country in the quarter and semi-finals. 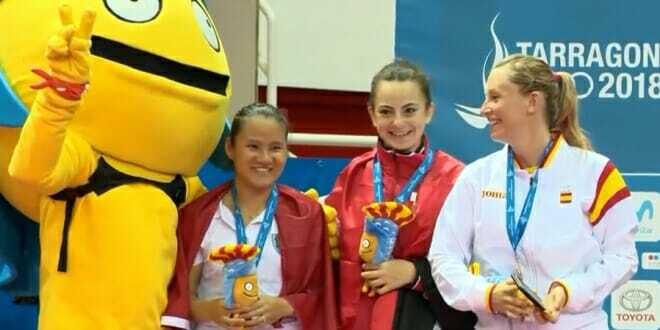 And so it was a proud silver medal Xiaoxin Yang earned for Monaco climbing the podium to cheers. Eight matches in three days pushed Xiaoxin to her physical limit but this young Monegasque gave her all. 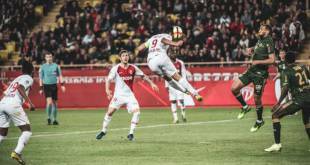 It shows what Monegasques can do when they are part of a courageous young Monaco team that believes in itself. 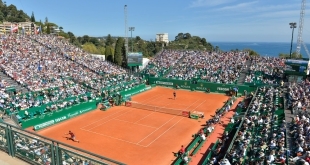 Monaco is excelling in racket sports at the Mediterranean games as Lucas Catarina also ably demonstrated, shining in the men’s singles tennis event. He too mounted the podium for a silver medal. Ably beating Algerian and Portuguese opponents in the quarter and semi-finals he is yet another medal winner for Monaco. At just 21 years old Lucas qualified for the final only to be beaten by his very experienced 33-year-old Moroccan opponent. 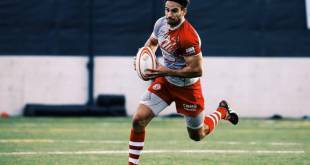 There is an impressive number of sports featured at these Mediterranean games and Monaco distinguished itself in many of them. Quentin Antognelli succeeding in the rowing, making it all the way to the finals – a great effort. Also honouring the Monegasque colours with their efforts were Vincent and Pascal Ferry in Beach VolleyBall, Kevin Crovetto in gymnastics, and young Charlotte Afriat in the 100 metres. 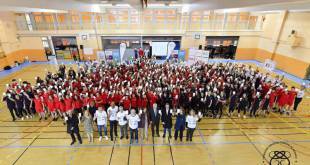 The list of excellent performances and best efforts by Monaco’s young athletes goes on and on. 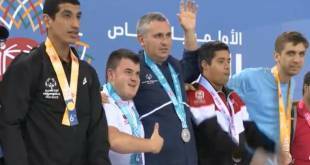 It includes Claudia Verdino in swimming, Hugo Micallef in boxing, and Alexandre Marian in water skiing. 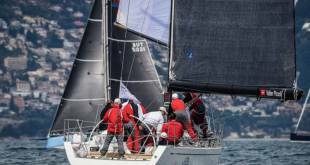 In sailing Lisa Caussin-Barraglia, with only six months of practice running up to the event, managed a creditable seventh place. Jeremy Moutout saiing a laser also excelled with a third place. Monegasques gave a fine showing also in the equestrian events with Wenceslas Thomel making the finals too. And finally but not least, in judo Yann Siccardi, Cedric Bessi, and Nicolas Grinda, and in bowls Jessica Samaratti. With a team of 21 athletes competing with distinction in 13 disciplines Yvette Lambin-Berti Secretary General of the Monegasque Olympic Committee has reason to be proud. And Prince Albert has noted the potential of this youthful team of Monegasque athletes. 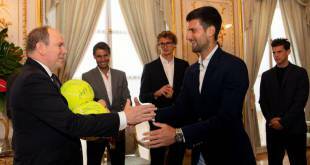 These are all today’s and tomorrow’s sports heroes for Monaco who distinguished themselves nobly in these Mediterranean Games. Congratulations from HelloMonaco!